There is no denying that a computer mouse is one of the most important elements of gaming equipment. Very often a good mouse can influence your potential wins or loses in the Esport competition. It can be especially seen in online games. This is why players during e-sport tournaments are provided with the best possible technology. 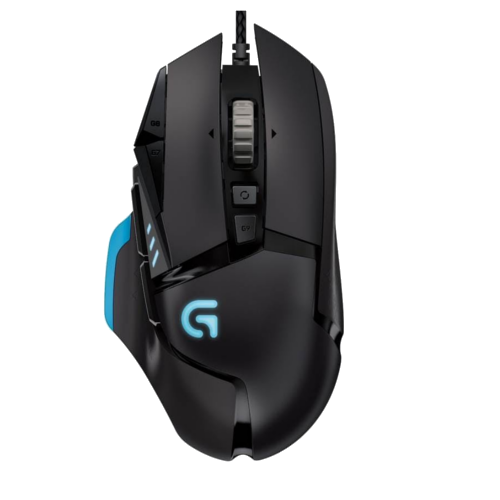 Logitech G502 Proteus Spectrum is a high-class product that is an affordable option for both amateur and beginning professional players. 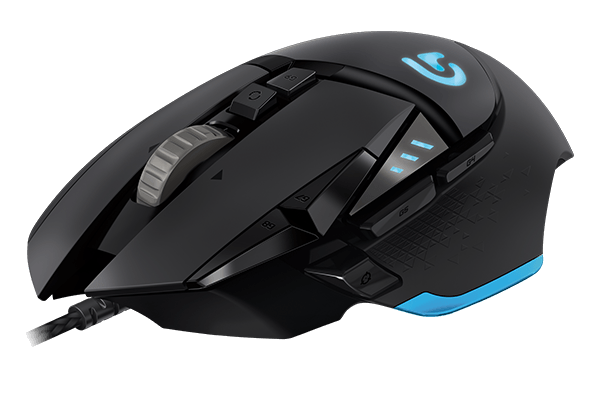 G502 gives you a huge range of different DPI thresholds. You can customize your mouse from precise 200 DPI up to very fast 12 000 DPI, depending on your needs. Thanks to this, you can use the mouse for a huge variety of different tasks. You can use precise 200 DPI for graphics creation and ultra-fast 12 000 DPI for online FPS games. You should remember that G502 is an easily customizable gaming mouse with tons of options which you can modify for your own, personal needs. You can even change the weight and balance of the mouse. With five repositionable weights (3.6g each) you can make the mouse precisely fit into your hand. To increase the potential customization even further, internet connection is advised for optional software. The mouse also has 11 programmable buttons. You can use them to bind your favorite commands and macros. This feature is very popular among fans of MMORPG’s. Mainly due to the fact, that they need to utilize dozens of abilities during their online games. What is more, Logitech G502 also has a tunable RGB lighting. You can customize it with a palette of 16.8 million colors. The mouse also has a very fast reaction time which is extremely crucial in case of Shooter games. In general, Logitech G502 is considered a very good mouse. Most players praise the high range of possible DPI thresholds as well as a big amount of different options for customization. You can purchase Logitech G502 Proteus Spectrum from verified sellers at G2A.COM. Furthermore, you can also use the search toolbar to look for other gaming equipment for best deals and competitive prices at G2A.COM Marketplace. RGB customizable lighting with 16.8 million colors. High range of possible DPI thresholds - from 200 DPI up to 12 000 DPI. Great response time - 1 ms. Perfect for online shooters. A hyper-fast scroll wheel. Perfect for internet surfing. A perfect mouse for gamers. Tunable weight and balance thanks to five 3.6g weights. Logitech gaming software which you can download for even more options of customization.